It would be hard to imagine a need for a CHR station in New York. For decades WABC and later Z100 would play all the hits in America’s biggest market. By 1996, Z100 had strayed into an Alternative Rock direction opening a hole for a station with a beat. By then WYNY’s ratings had remained stagnant at around a 2 share. Putting two and two together, and after a week of simulcasting sister stations from around the country Evergreen Media (one of the predecessors to what would later become AMFM) resurrected the name and image of the station (then at 92.3) that many considered to have caused the demise of WABC a decade and a half earlier. Bringing aboard many people responsible for successful CHR product in New York to run the show helped. 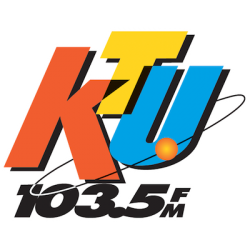 Led by Program Director Frankie Blue and with no DJ’s, WKTU rose to the top of the New York ratings in its first book a feat only Z100 was able to perform. KTU still thrives to this day even with its now sister station Z100 back to a pure mainstream sound. Country music should have stayed around as the tax write off. One that declared that that station is not a threat to sister stations. At the time of the flip WYNY was a stand alone and had no sister stations in New York. Evergreen Media was able to acquire 103.5 because it was not making enough money with Country. It wouldn’t be until a year later that Evergreen would acquire Viacom’s radio properties and merge with Chancellor to bring WKTU, Z100, Q104.3, and Lite-FM under one umbrella. The group would then add what was then 105.1 The Buzz in October 1997.